We recently returned from an amazing family vacation at Walt Disney World and I wanted to share some of our experiences with readers so I put together my top 5 tips. 1. PHOTO PASS PLUS – Before we went friends had told us about the photo pass system and we had it the back of our minds that we would check it out and consider purchasing the CD after our trip. If you have never been to Disney World, there are Disney photographers everywhere – major attractions, dinners, character greetings and just about everywhere else. They will take your picture, scan your photo pass card and then you can view and order pictures online. Our very first morning we did a character breakfast, where our family picture was taken with Donald Duck. While we were eating they came around to see if we wanted the picture. It was a great family picture of all of us, a rare event, so we purchased it. The photographer then asked us if we were planning on purchasing the photo CD at the end of our trip and told us about Pboto Pass Plus. If we signed up for and purchased it we would get the CD with all our photos including all our dinner photos. You can see all the details here. We signed up at the photo centre at Animal Kingdom that day and I then wore the card (on a lanyard) around my neck all week. We had soooo many pictures taken without any worry. Often we would be watching a parade or show and a photographer would get those great candid shots of the kids. If they saw the lanyard around my neck they would just start snapping and then come up and scan it. When we went to our many character greetings they not only took the posed photos but many cool candids of the kids reactions, hugs and hi-fives. It cost us a bit but it is one of those extras totally worth it – you are at Disney anyway and it is only a small amount of what you will spend for the week. A definite must – especially if you do a lot of the character dinners. 2. CHARACTER DINNERS – In case you are unaware you want to book all your character dinners and any busy restaurants long in advance. We did 4 character dinners. On the first day we had breakfast with Donald and friends at Tusker House in Animal Kingdom. This was a great way to start our week. It is a buffet and very relaxed. Other than Donald, we saw Mickey, Daisy, and Goofy. The kids even did a parade, complete with musical instruments, with Daisy Duck. On our second day we had our first princess lunch at Akershus Castle (in the Norwegian Pavillion) at Epcot. We met Belle on the way in and then were visited by Sleeping Beauty, Snow White, Cinderella, and Ariel. Lunch started with a traditional Norwegian appetizer buffet where we got to try some cool things, and then everyone got a main course off the menu. On Eileen’s birthday we dinned at Cinderella’s Castle, the hottest ticket at Disney world. Being inside the castle was very cool, the kids all recieved a wand or sword and the princesses visited but I think they preferred our lunch at Akershus. The castle lunch is more formal and for our young children it seemed a bit much at times. On our last night we went to Mickey’s Backyard BBQ for Michael’s birthday. This is definitely a must do event and made for young kids!!! There was a BBQ buffet with great food for parents and kids. The chef even brought me our some gluten free alternatives. The best part though is that the Disney characters acutally come out and dance with the kids!!! Mickey, Minnie, Goofy, Chip and Dale were all there. My kids love to dance but often shy away in public. This was not the case at the BBQ – the girls were dancing up a storm with Minnie Mouse. There was a live country band and a show with cowboy tricks. My only tip would be there right at 6:00 so everyone can eat and have desert before the action begins – your kids won’t want to miss any of it!! 3. PLAN BUT DON’T OVER PLAN – For each day we had a list of things we wanted to do and they were prioritized. Often this was lead but the characters we wanted to see. For example I knew that Tinkerbell’s Magical Nook was always busy so we went there first thing in the morning, 15 minutes before it opened, and we were second in line. We were in and out before 9:30, and missed the 45 minute (minimum) line up. We made sure we were at Hollywood Studios when it opened so we could get Fast Passes for the Toy Story ride – they go REALLY fast. Planning is important but you also need to go with the flow. We planned our table service meals that needed reservations but our counter service meals we simply ate where and when we were hungry. Eileen is a ride junkie so often we would skip a show or a long line so she could go on Aladdin’s Magic Carpet one more time. 4. 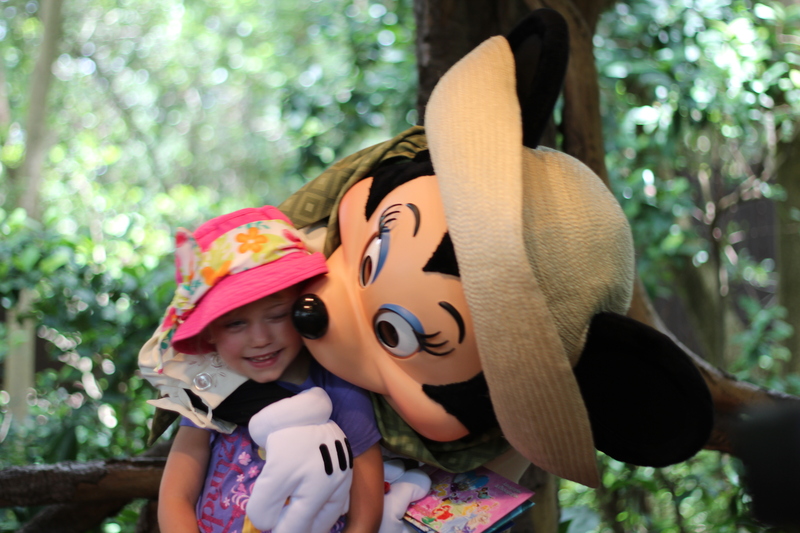 PACK FOR ALL WEATHER AND TEMPERAMENT – It rains at Disney …. everyday! Take ponchos and throw them in your bag or stroller. Some days it will be a nice 20 minute shower to cool you off and other days it will be a torental downpour for 3 hours. We were waiting in line to see Tiana one afternoon the heavens opened up. We thought we would wait it out but quickly realized it wasn’t stopping. We decided to abandon ship and head back to our cabin and have have a quiet movie night. Also make sure you take lots of water, juice and snacks for your kids. Waiting in a line is much easier with a juice box and cookie. Friends also lent us one of the fan spray bottles and we used it all the time. It seems like a strange thing but it really does help you cool off in the insane heat. 5. DISNEY IS THE MASTER OF CUSTOMER SERVICE – There is so much more I could say but the last thing has to be our dealings with the cast members of Disney. You hear about the amazing over the top work of Disney to make everything memorable but I didn’t think we would actually experience it ourselves. 10 minutes after arriving at Mickey’s Backyard BBQ Michael dislocated his elbow. This is not an unusual occurance in our family as both Eileen an Michael suffer from nursemaid’s elbow, but that does not make it any less worse when it happens at Disney World, and on his birthday. Almost instantly a cast member, who I later found out was a manager came up to see if he was O.K. We offered to call EMT and a few minutes later I agreed. Instantly everyone was awesome helping us out. Security and other staff helped us get organized, kept and eye on the girls (who were watching the show and had no idea anything was happening), called the ambulance, took Gord back to the cabin to get his wallet and insurance card, had them sent to the best children’s hospital in Orlando, gave Gord a card to call to get home, paid for his cab ride home, reimbursed us for the dinner even though the girls and I stayed, made sure the girls and I were OK and would have taken us to the hospital if we wanted, and 10 minutes after Gord and Michael got back they showed up with a bouquet of birthday balloons, a personalized birhthday card from Mickey Mouse and two Disney stuffies for Michael. WOW!! We made sure they knew how grateful we were when they called the next morning to check on Michael. They managed to turn what could have been a horrible and chaotic experience to a memorable one for all of us!! 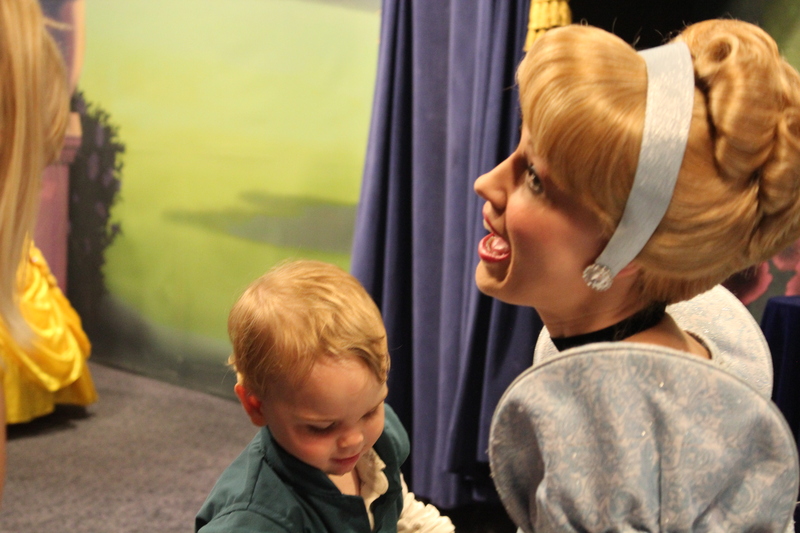 BONUS TIP – Disney does an amazing job of making every kid (big or little) feel special but parents can help a bit too. Take something special for your kids to wear one day. It doesn’t need to be expensive – we took Princess Dresses from home for the girls to wear to Akershus and the princesses they were dressed up as made a huge deal when they visited them. We also did the Bibbidi Bobbi Boutique on Eileen’s birthday, which was an amazing experience for the girls, but you don’t need to go to those extermes. Wearing their dresses at Epcot almost made them feel more special because you don’t see as many girls dressed up as you do at Magic Kingdom and every cast member we saw made a big deal of it. The other thing we did that was a HUGE hit with every cast member – characters and all other staff – is that we made Michael a Flynn Rider costume to wear when we went for our big Princess day on Eileen’s birthday. It was simply a vest and satchel but we made sure he had a small crown and a copy of the wanted poster in his satchel. He was determined to show it to everyone – especially all the princesses. We got some amazing reactions and he loved every second of it!! Rapunzel thought it was awesome but for some reason Michael was smitten with Cinderella most of all. It was one of the things that made the day even more memorable. 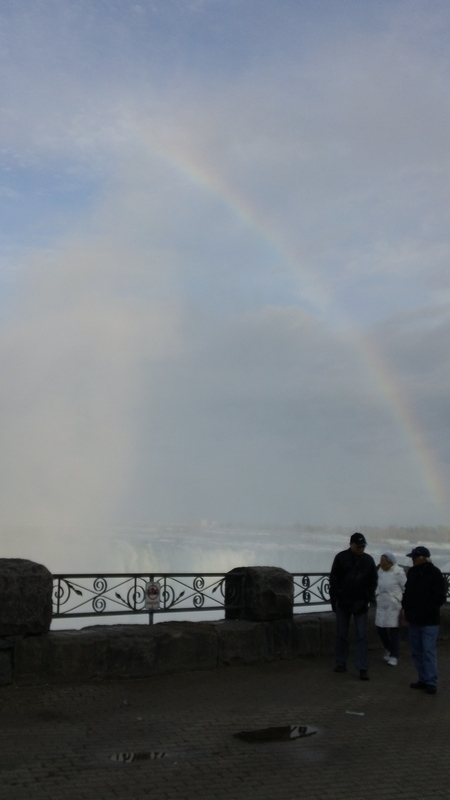 There are so many other things I could share as this was an amazing trip for us but it is best you experience it yourself. We are very fortunate to be able to take our children many places but I am convinced that for a child there is no where on earth quite like Disney World, especially the Magic Kingdom. There is simply a sense in the air there of joy. I know it is commercial and build on a brand but it is something to be experienced. It fills you with a feeling like no other, and leaves you with memories forever!